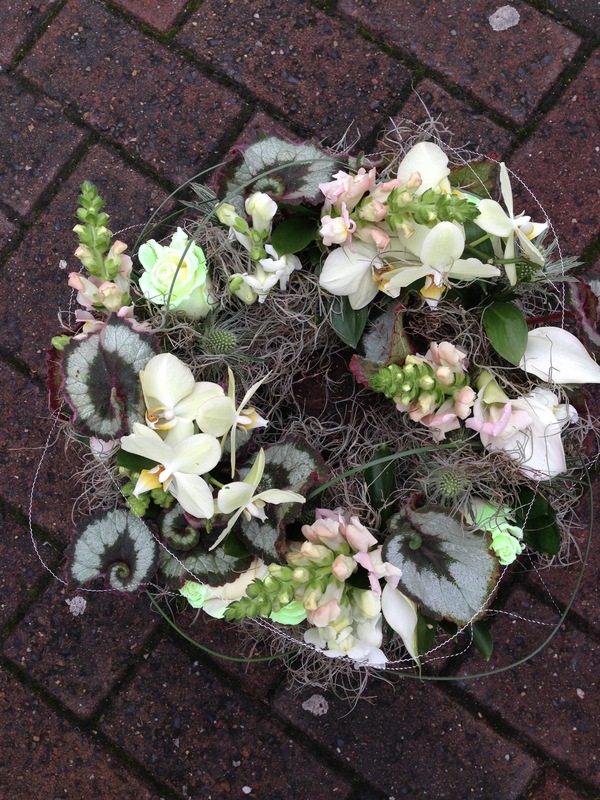 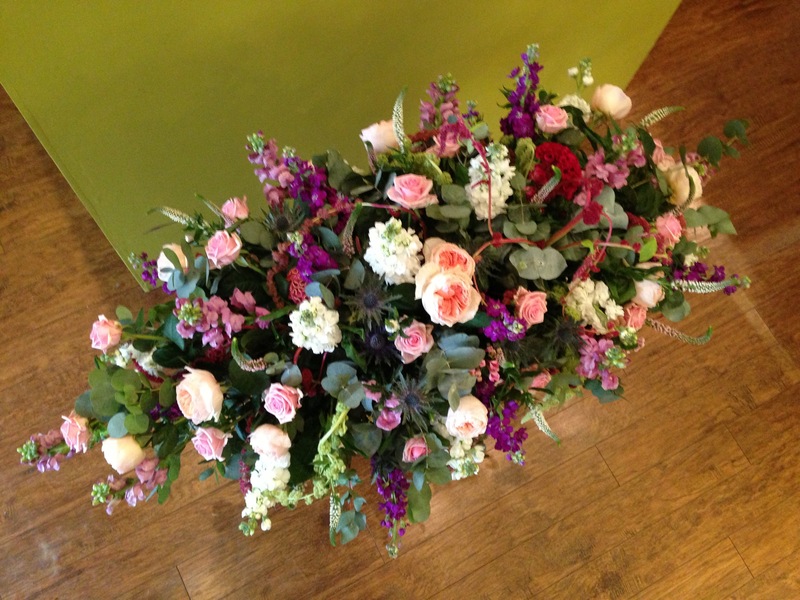 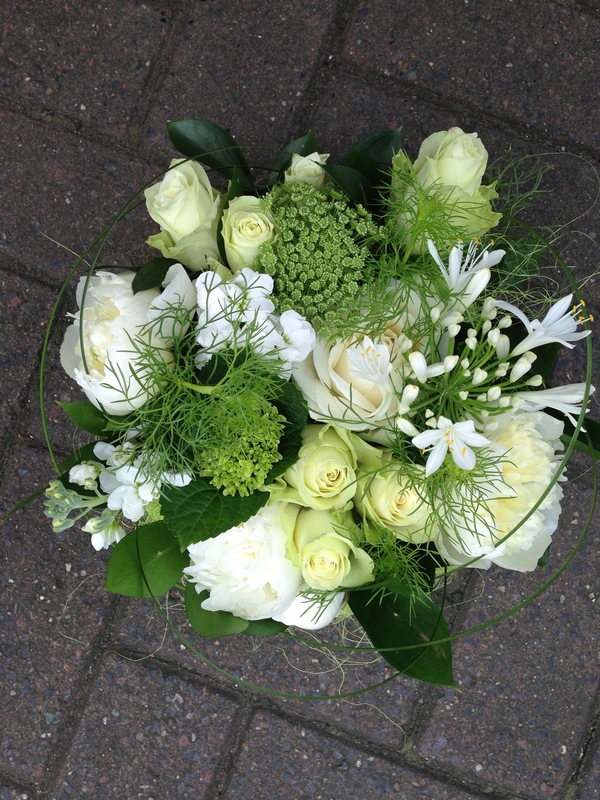 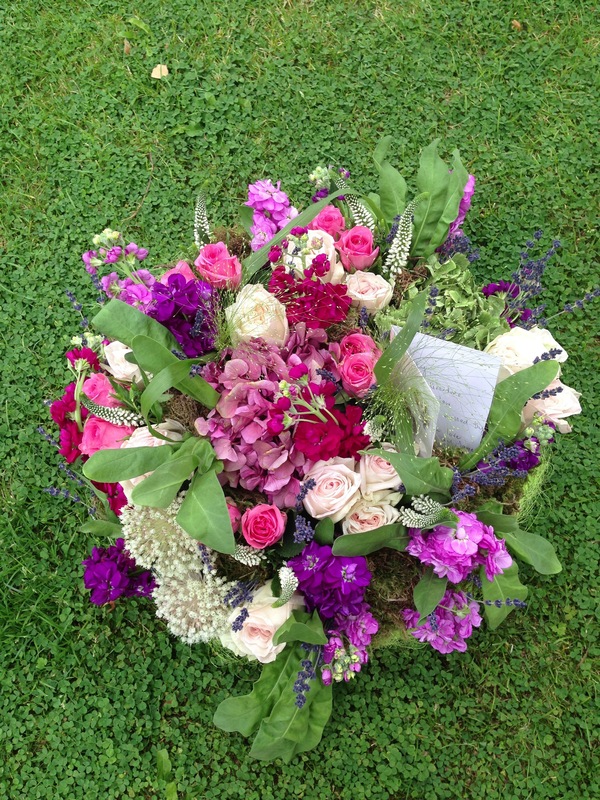 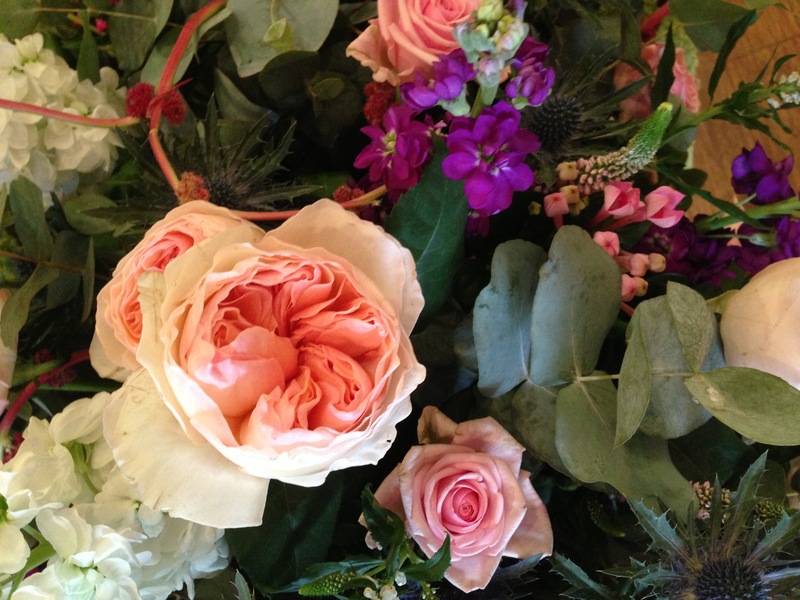 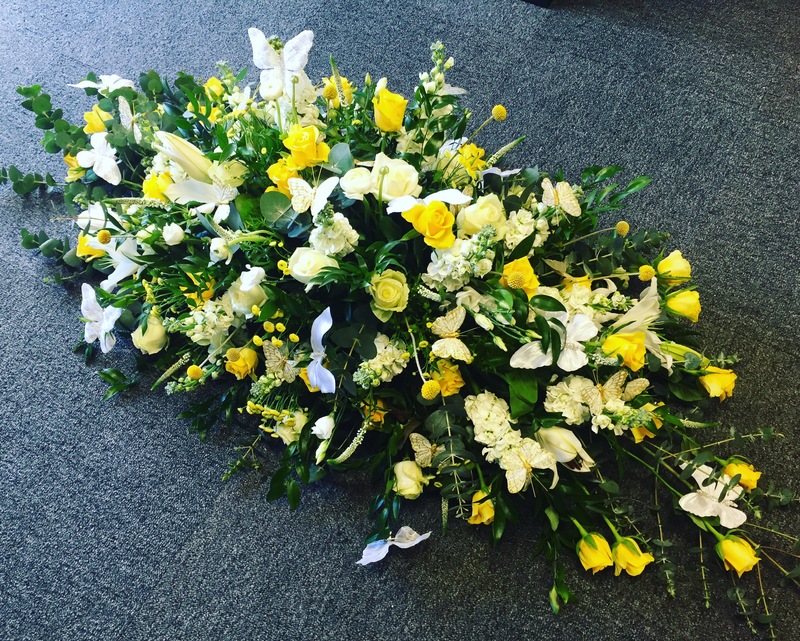 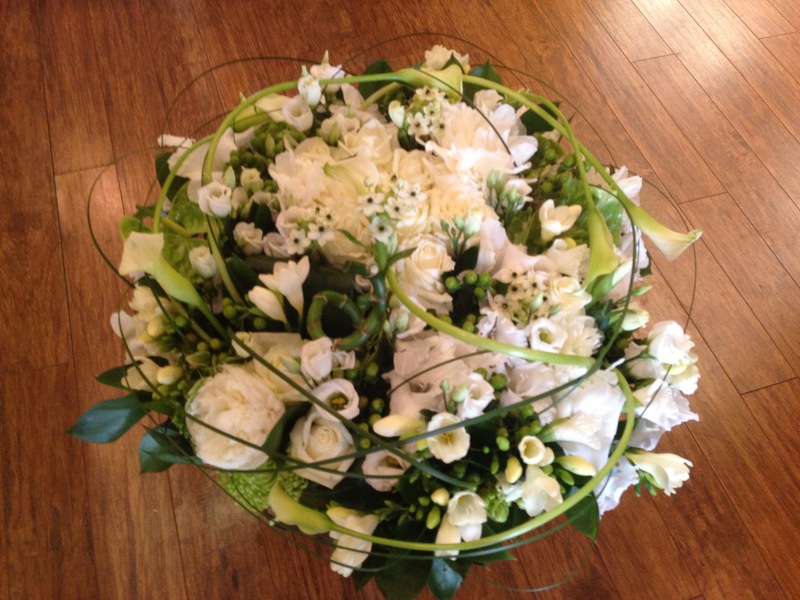 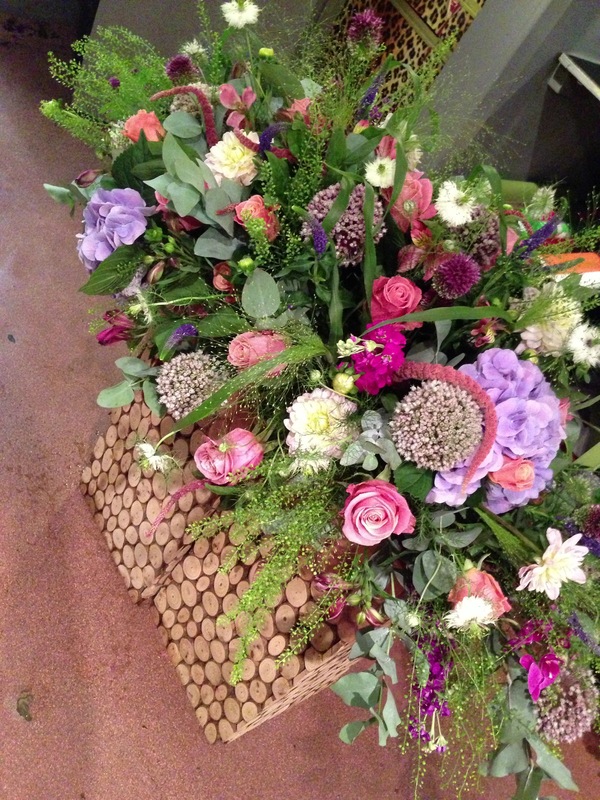 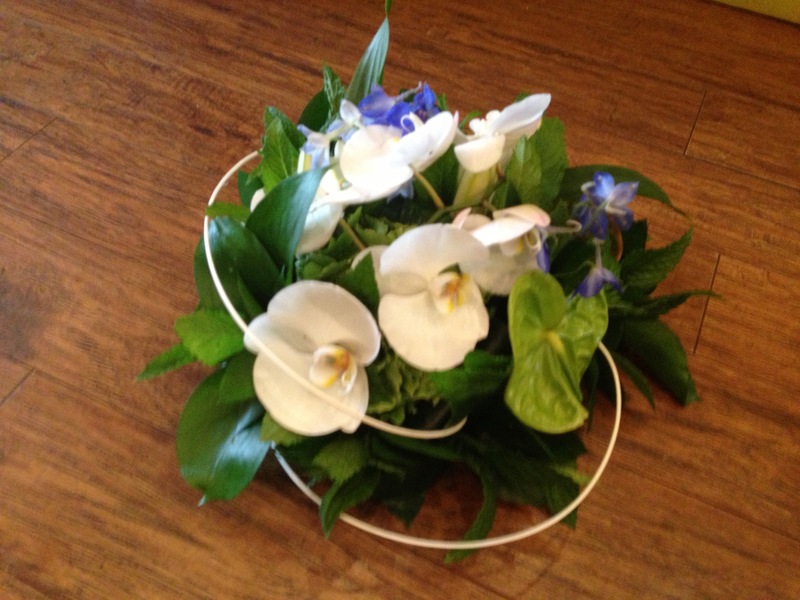 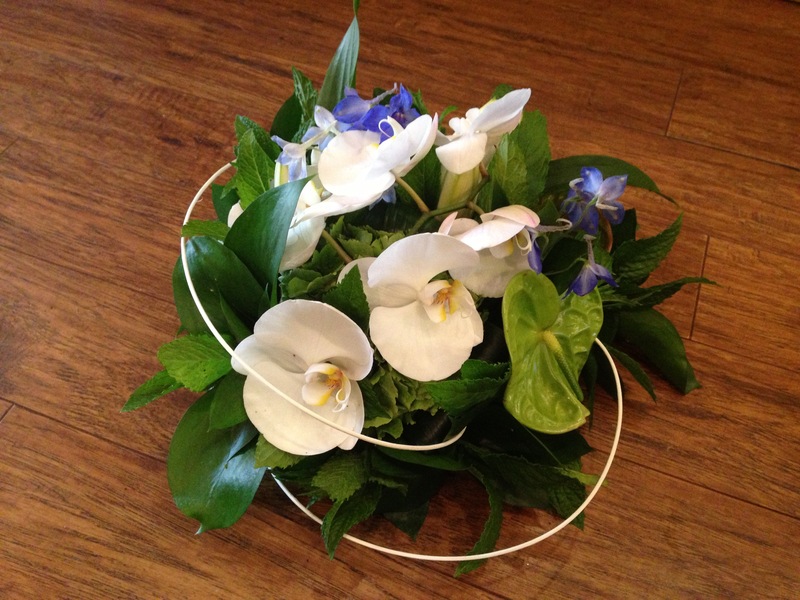 Our Floral Collection of naturally stunning funeral tributes, express love and sympathy when saying your goodbye. 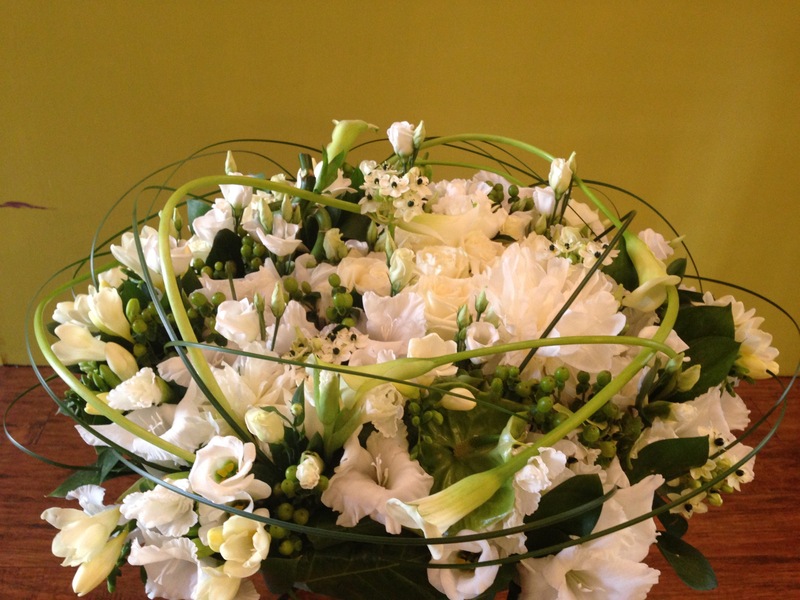 Our passion in creating breathtaking tributes overflows in each design, magically transforming flowers, into floral art. 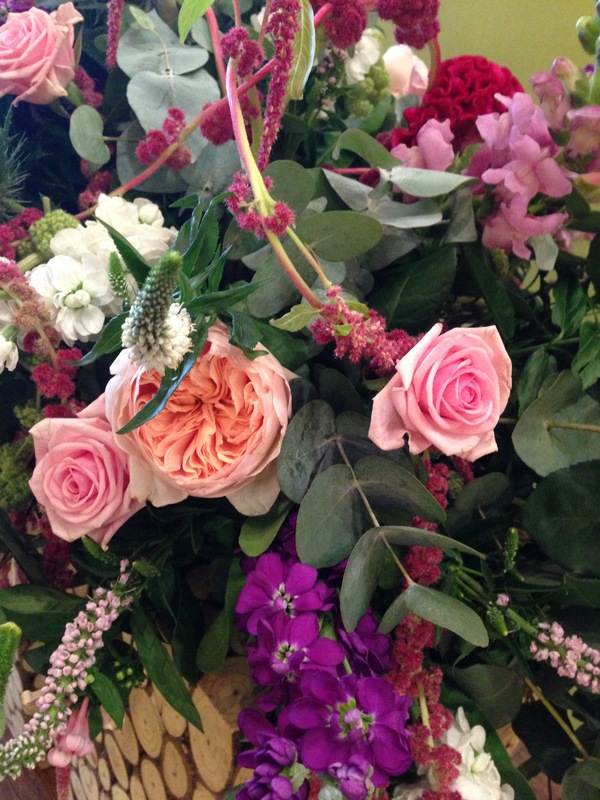 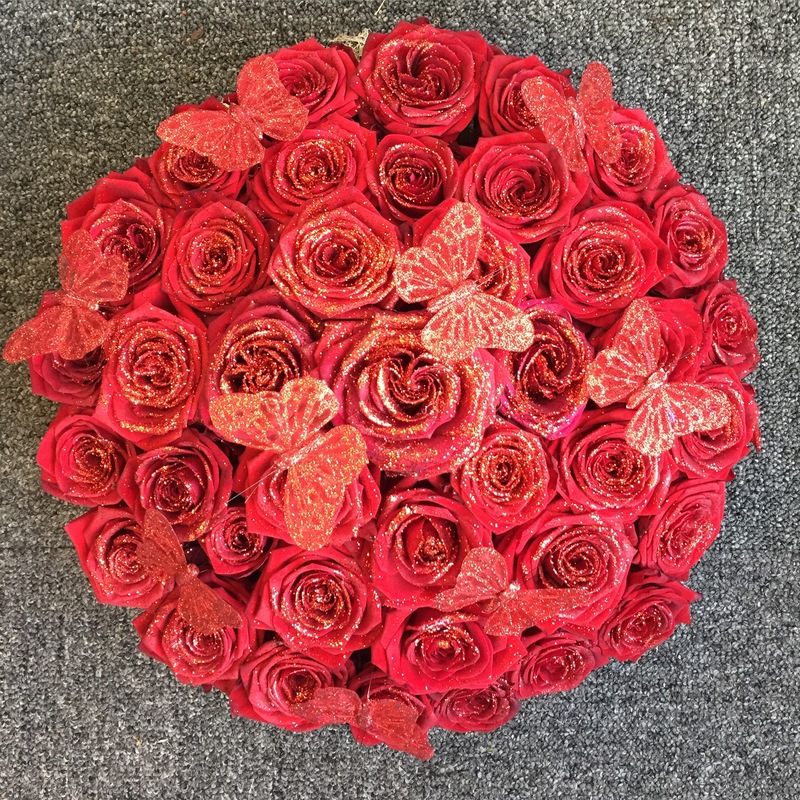 We tailor each design to suit your special requirements, collaborating your ideas with ours, considering the perfect colour scheme, shape, size and most of importantly favourite flowers. 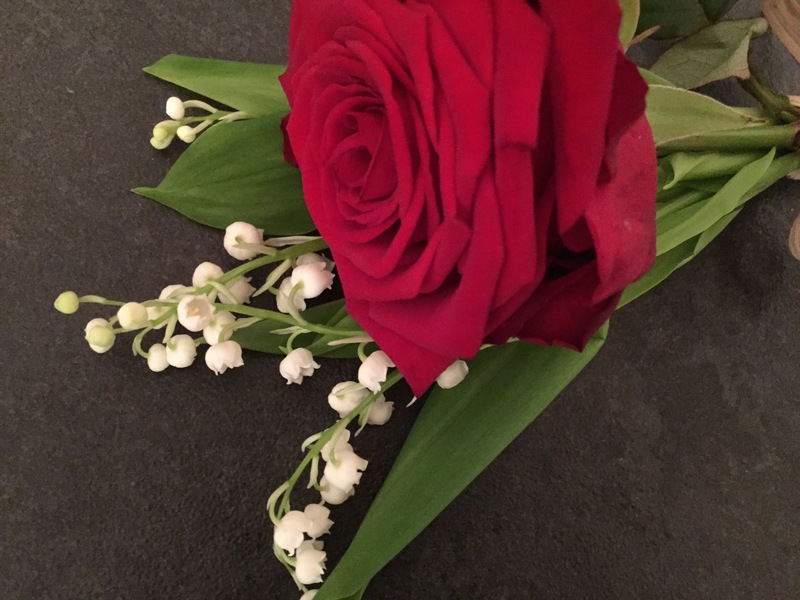 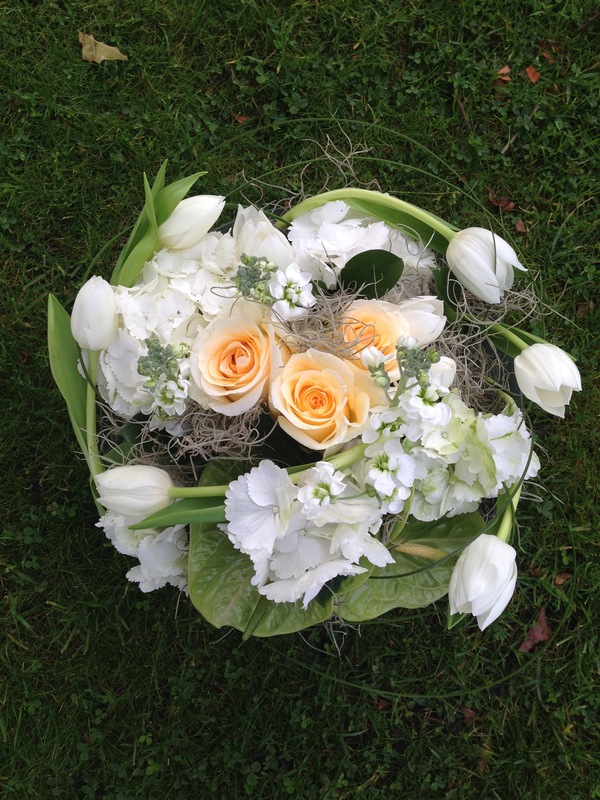 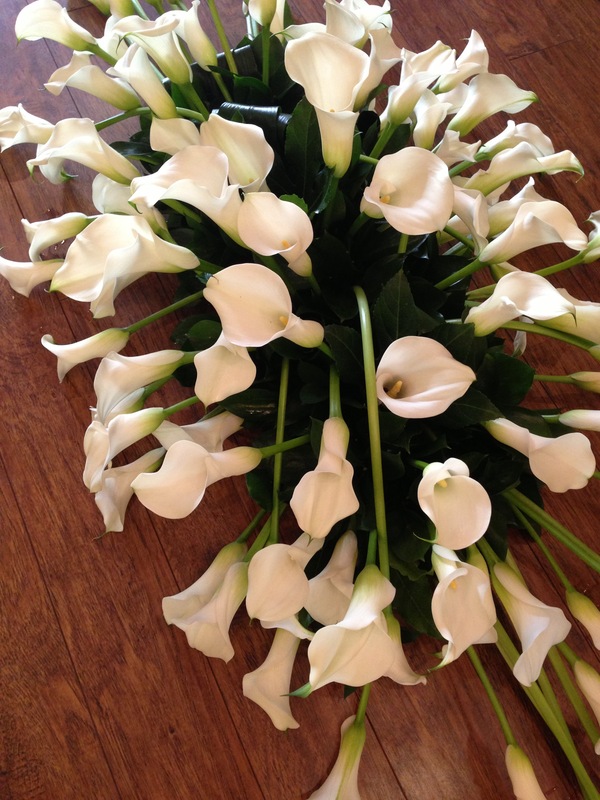 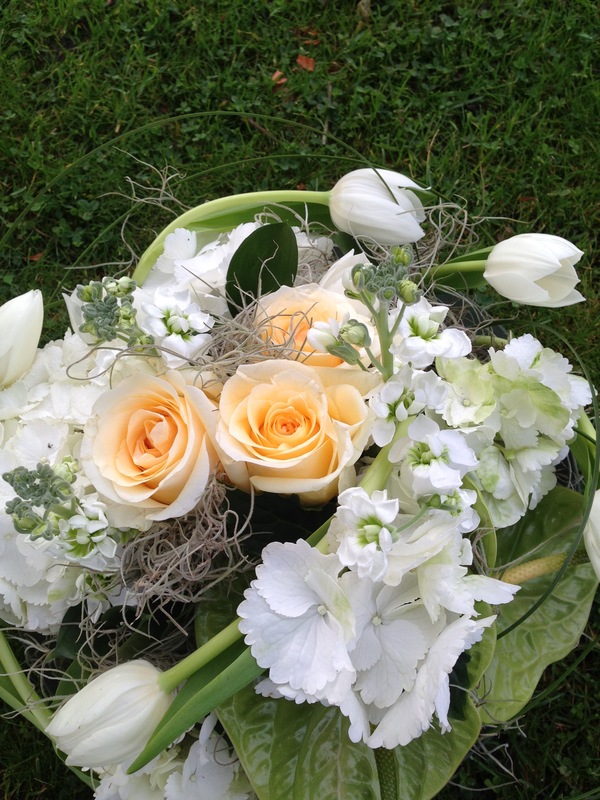 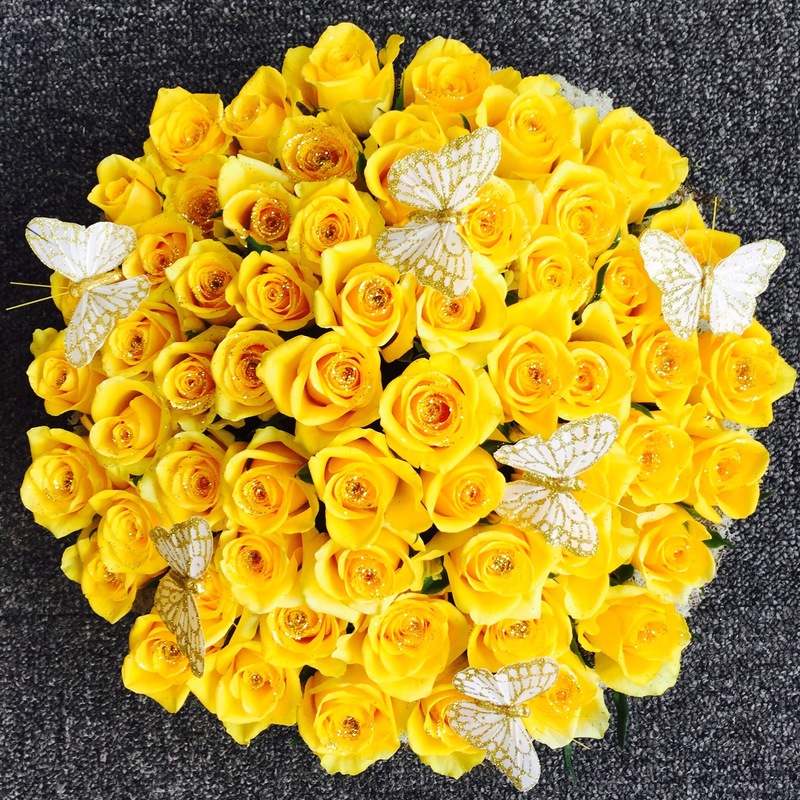 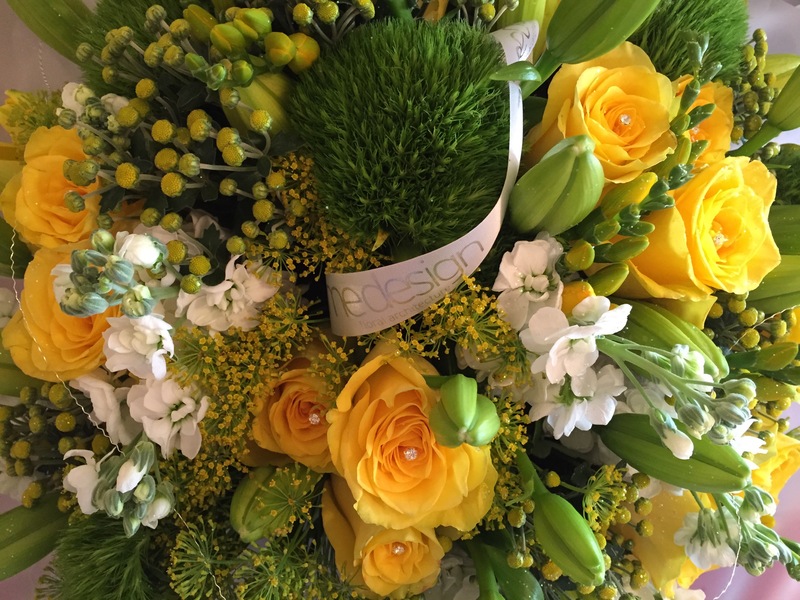 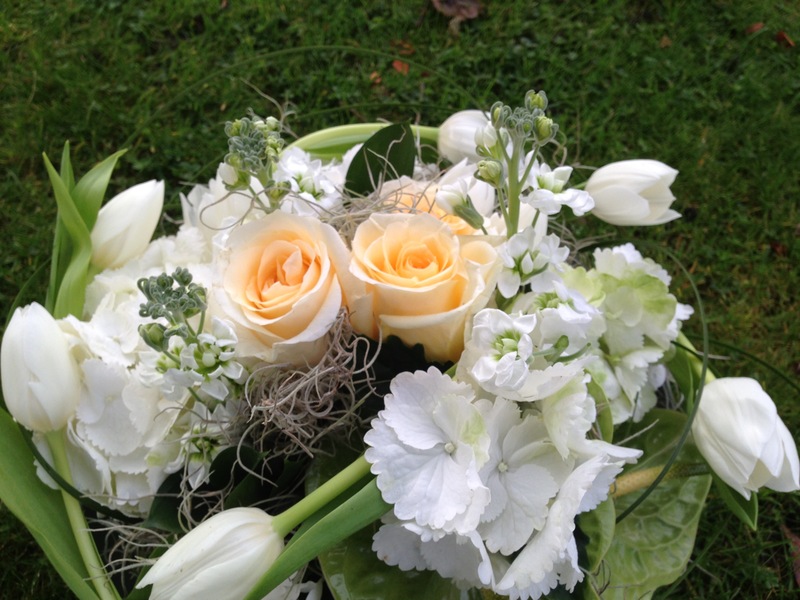 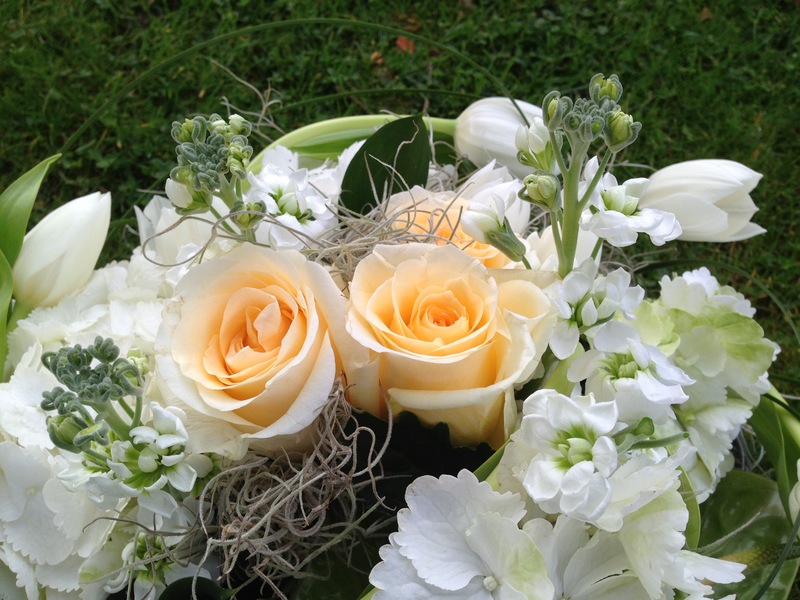 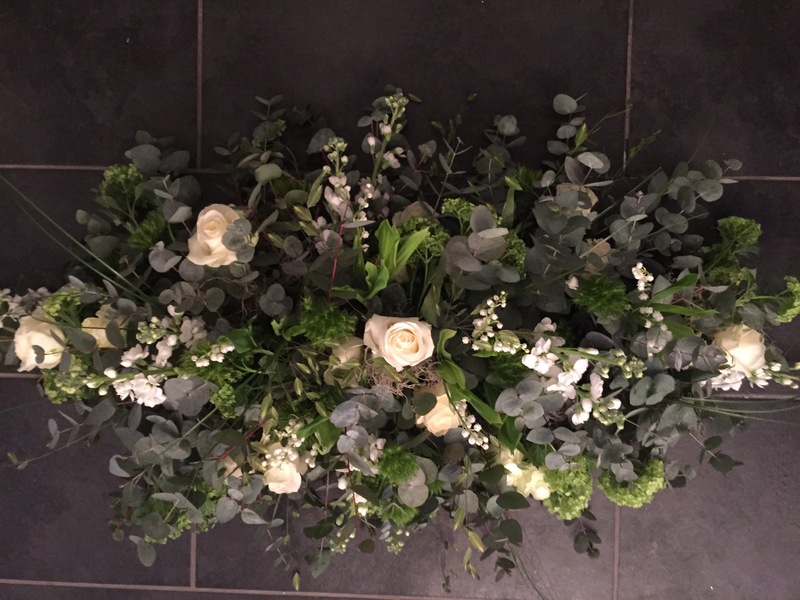 What ever your floral request our truly magical, creative team will create the perfect sympathy tribute and deliver to take as much stress away as possible. 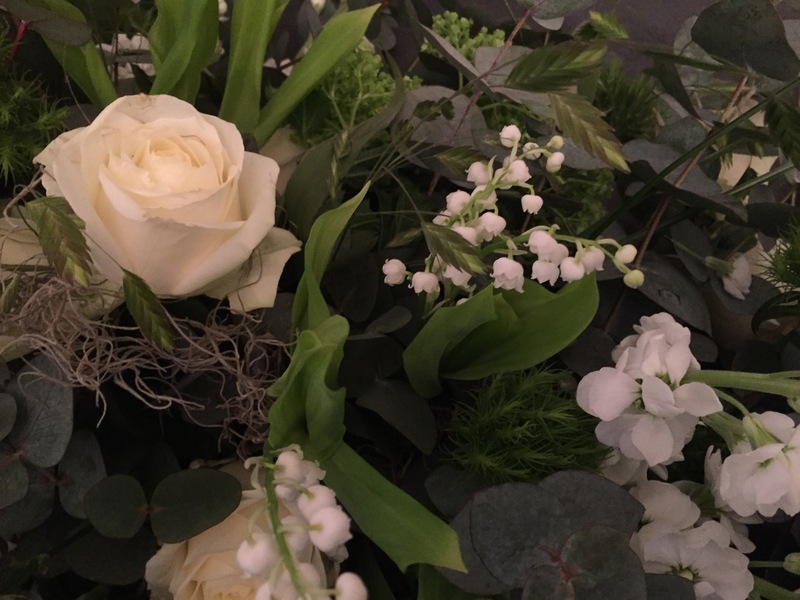 Orders and enquiries for personal a consultation in the comfort of your own home can be made to info@zimedesign.co.uk or call Zime on 01253 283 931. 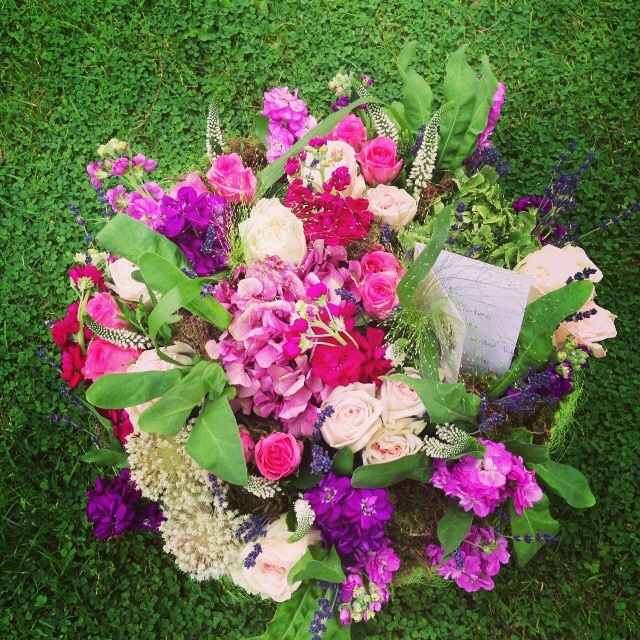 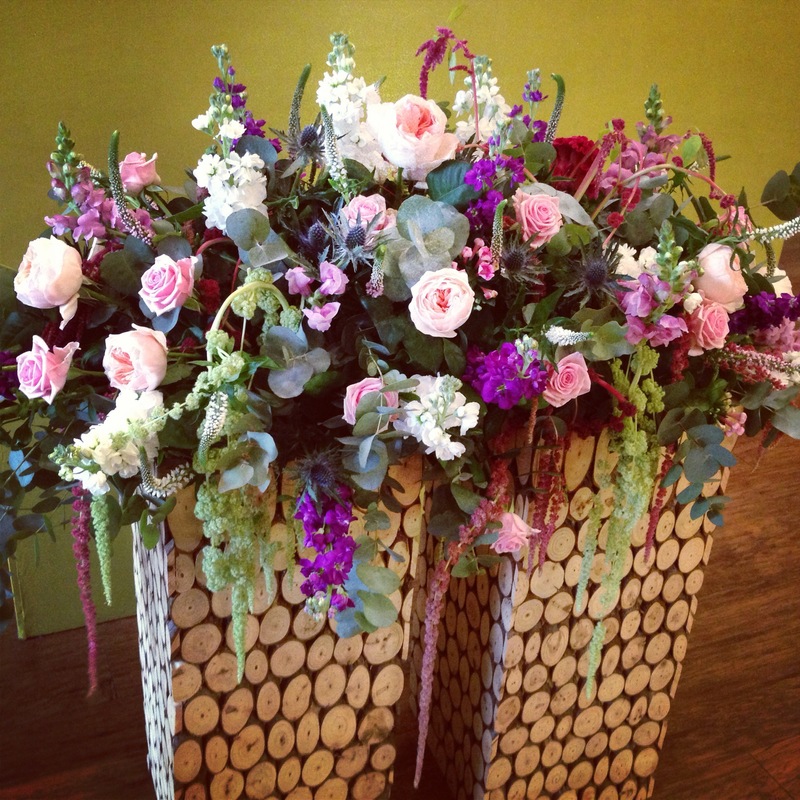 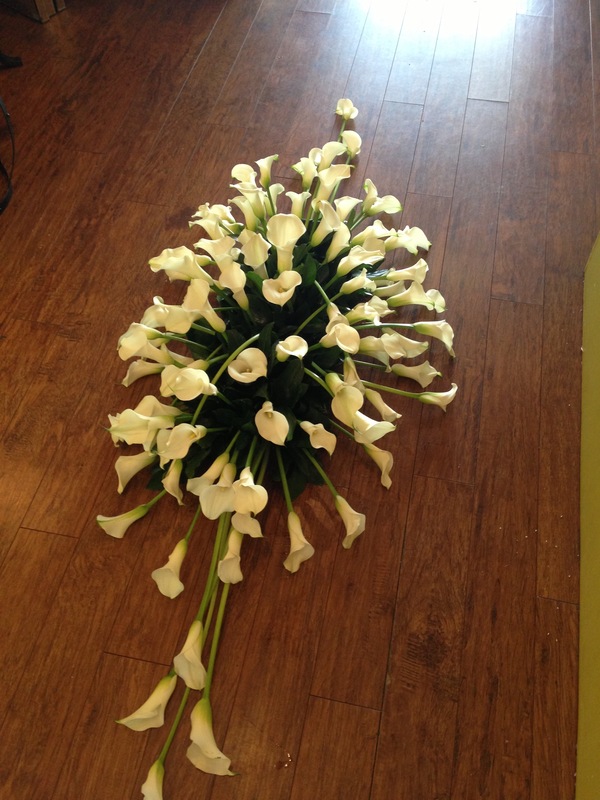 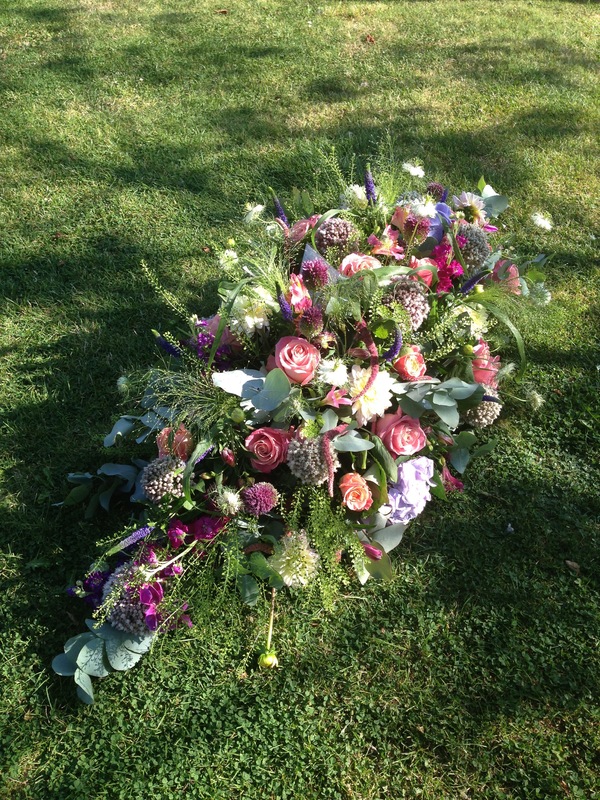 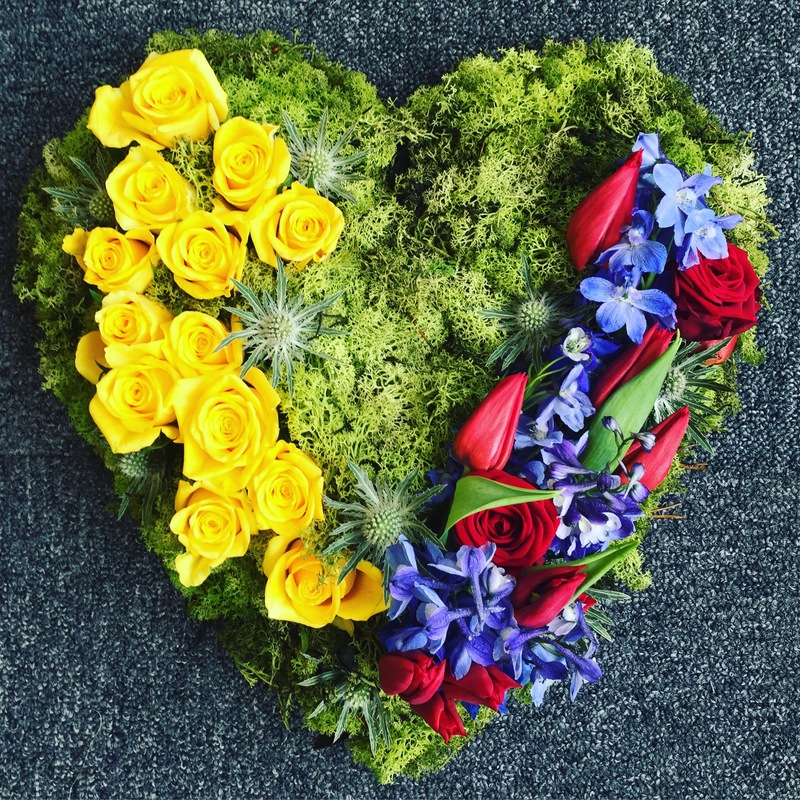 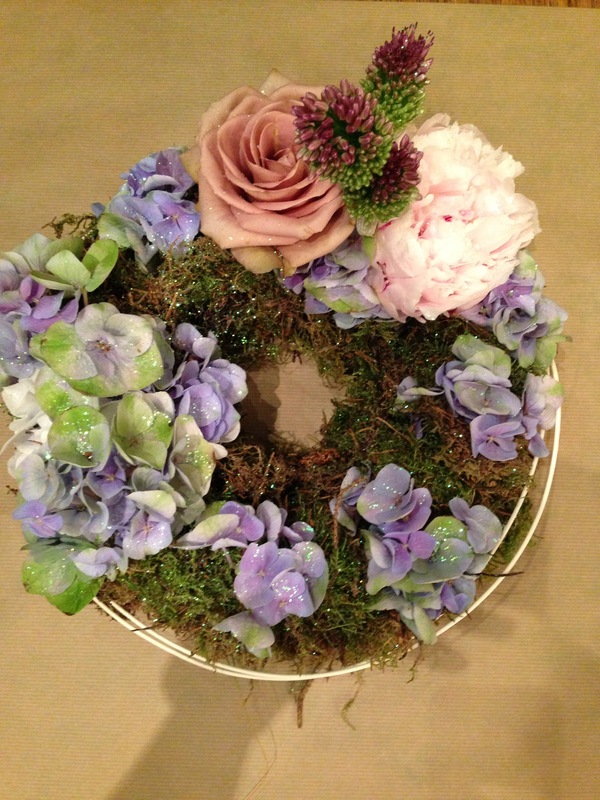 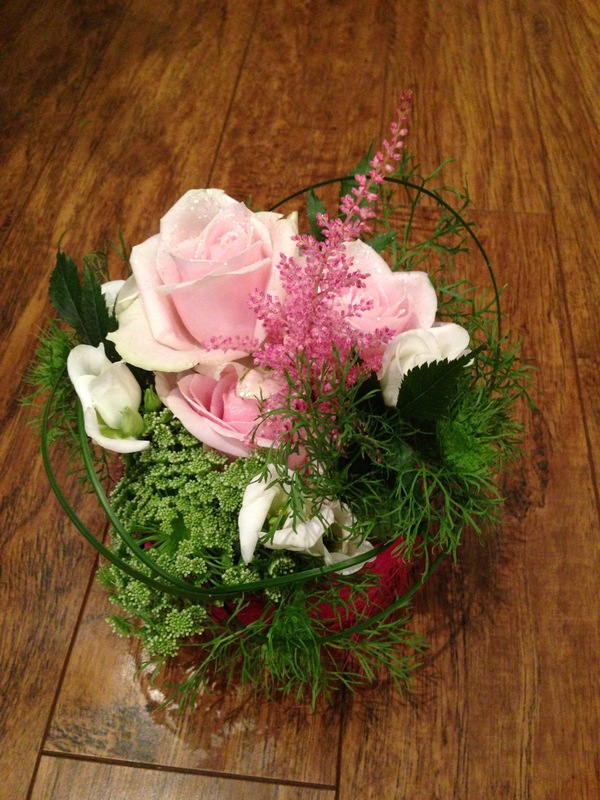 Below we have featured some of our most beautiful and recent Floral Tributes. 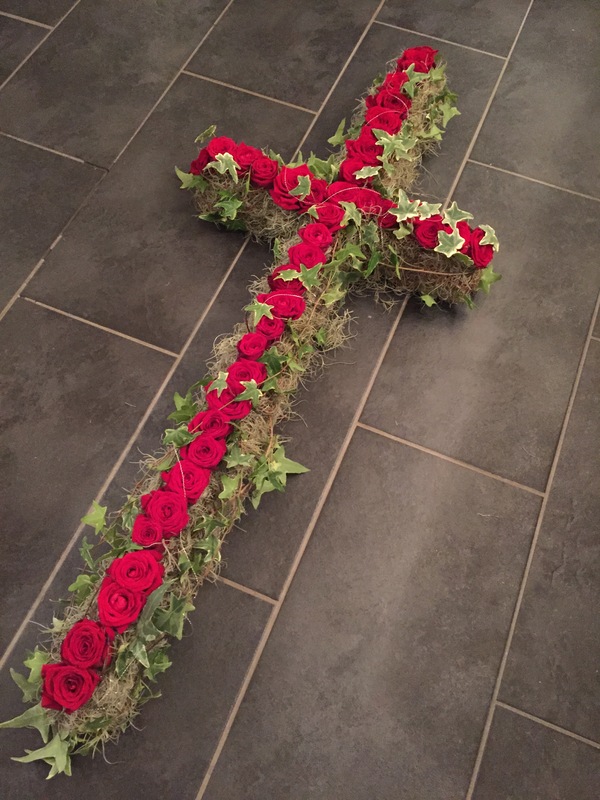 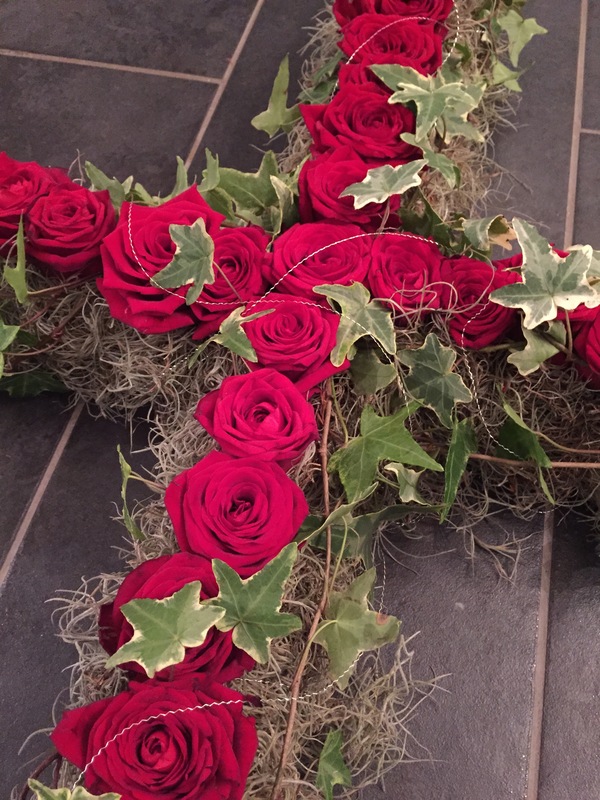 Beatiful 6ft Cross designed using the most beautiful scented Red Naomi Roses, Variegated Ivy and Spanish Moss. 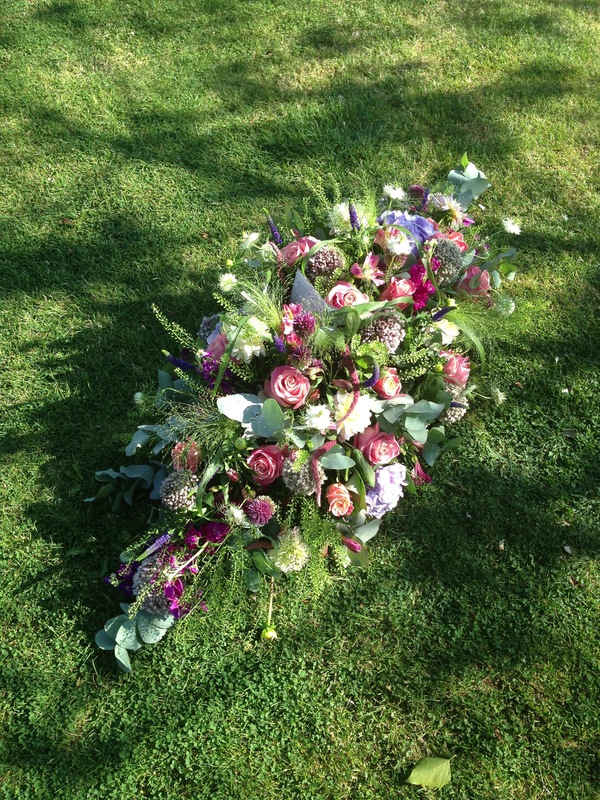 We finished the design with a small sprinkle of iridescent glitter and silver wire intertwining between the Roses! 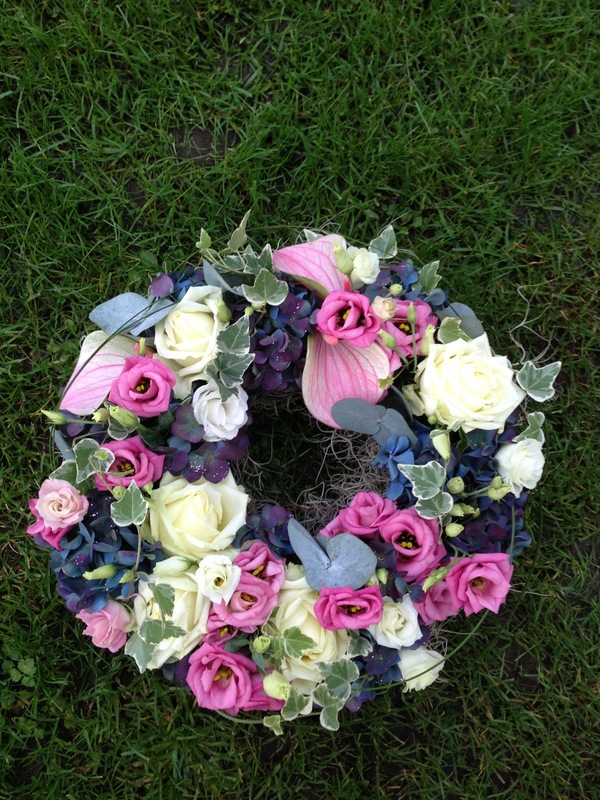 This design is £120 and can be designed to any specific colour scheme or size! 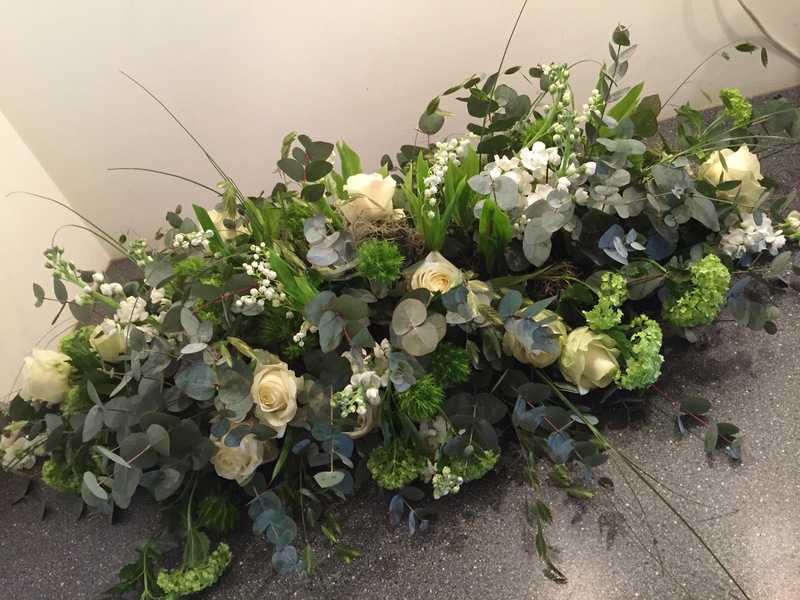 Stunning Casket Design of beautiful white and green scented flowers and foliages create this natural country garden style tribute ~ featuring Lily Of The Valley, Viburnum Opulous, Avalanche Roses, Green Tricks, Stocks, Eucalyptus and Bear Grass! 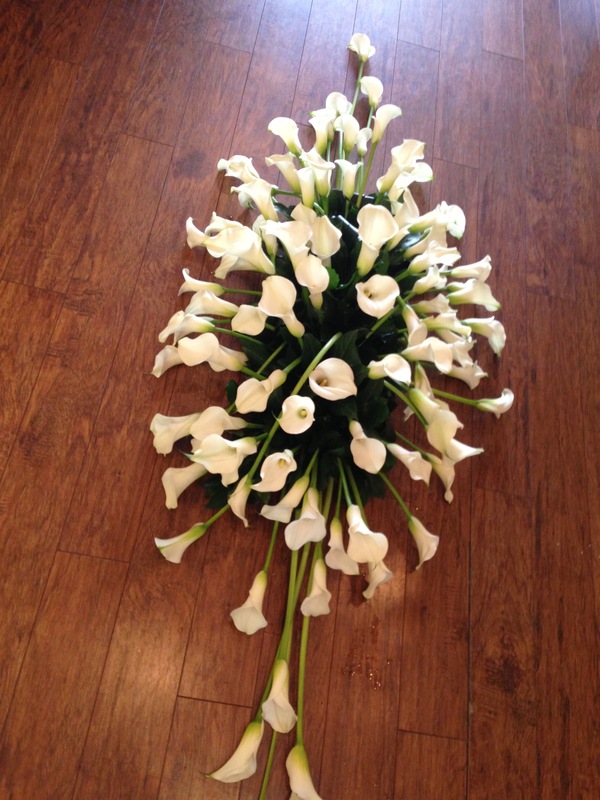 One of our most requested and popular designs! 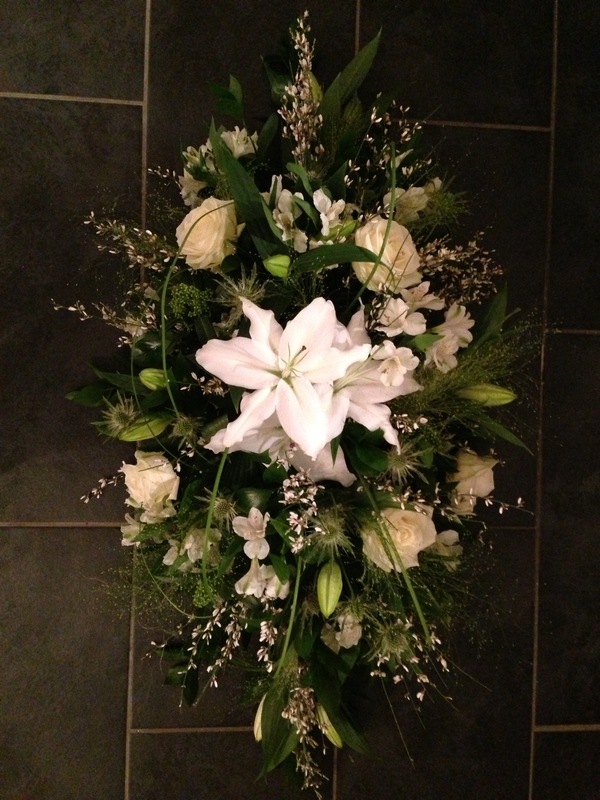 This tribute is £175 and can be made to any specific colour scheme and made larger or smaller depending on the request. 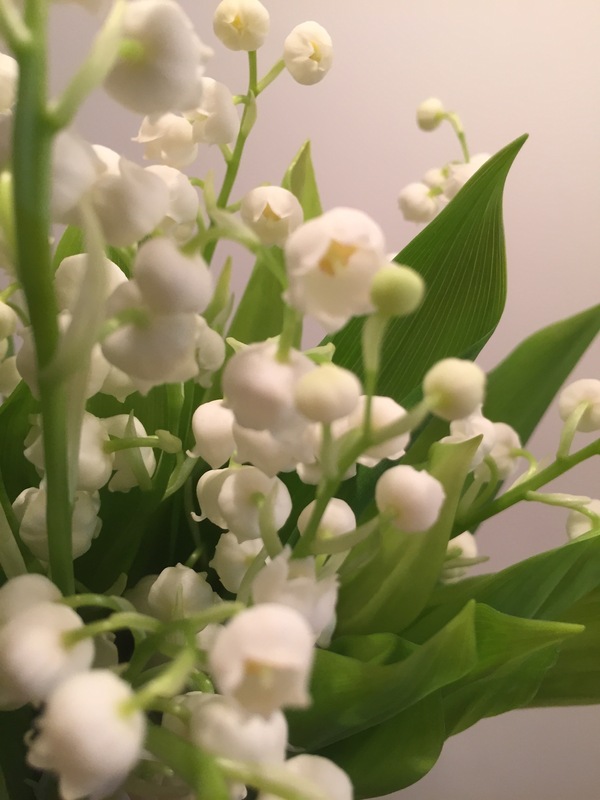 Beautiful Lily Of The Valley!